Help MLS continue to provide meaningful programming and services to Veterans, Servicemembers, and Aspiring Judge Advocates at Georgetown Law. Open the link using the button below to donate online. 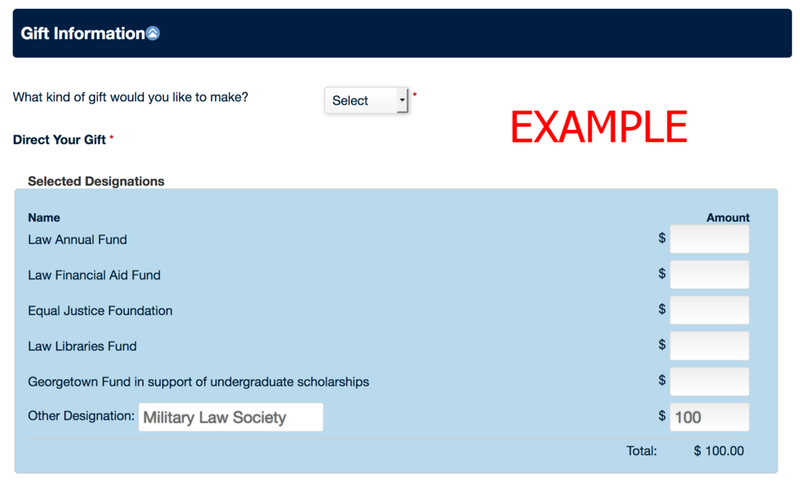 Enter "Military Law Society" in the "other designation" box (picture below). For GULC alumni, donations designated to MLS count toward your class gift amount.